The HQ Matrixx Power Kite is the next step for closed cell foils. Equipped with a super efficient profile, extra thin bridle lines and intelligent speed-system, the Matrixx is one of the best performing closed-cell foils in the industry. 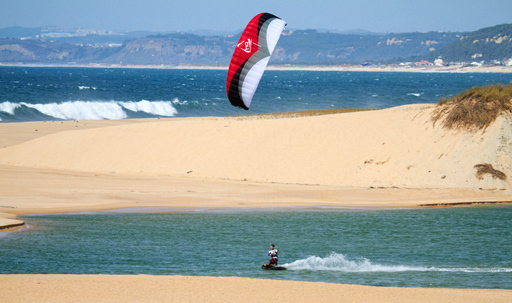 Although a great choice in lighter winds, it excels in lift and hang-time. The effective power per square meter is simply remarkable. Are you ready to try the Matrixx on wheels, snow and water? FREE HQ Harness When You Order a HQ Matrixx Today.